What makes a successful fighter into a star, someone who can sell out a stadium or attract a seven-figure audience on Pay Per View? In many ways the quality in question is imperceptible but up until last year the general consensus was that Adrien Broner had it. His brash, arrogant persona and boxing style was never going to win Broner a special place in people’s hearts but it has got him inside their heads and made him one of the most discussed and divisive fighters in the sport today. He was seen as following the path set out by his mentor Floyd Mayweather but pulling a stunt like uploading footage of yourself setting fire to dollar bills, something which Broner did last year, is not exactly the sort of behavior liable to endear you to the general public. Mayweather might do the best numbers in the boxing business today but it would be a mistake to assume this success automatically equates to popularity. Many fans tune into his fights in the hope that this time the undefeated pound for pound king will finally get his comeuppance. You seldom hear fans chanting Mayweather’s name but you can bet your bottom dollar that he doesn’t lie awake at night worrying about what motivates people to part with their money to see him fight, just as long as the cash keeps rolling in. In boxing, fans might love you or hate you but what an aspiring Pay Per View star fears above all else is indifference. If you can’t convince people to care about you then it doesn’t matter how many fights you win, a reality that must be slowly dawning on Guillermo Rigondeaux. There is no danger of Broner ever provoking the same sort of apathetic response from a boxing audience that Rigondeaux currently does because "The Problem" has already succeeded in cultivating a persona which has well and truly got people’s attention. However Broner’s real problem is that, while he might have the same sort of swagger as Mayweather, too often his fights have failed to live up to the hype and last year he suffered the indignity of a one sided decision defeat at the hands of the relatively unknown Marcos Maidana. When you are going to intentionally alienate fans with obnoxious behaviour the margins for failure are almost non-existent. You need to be doing things bigger and better than the next boxer which is what Mayweather has done for virtually his entire career. 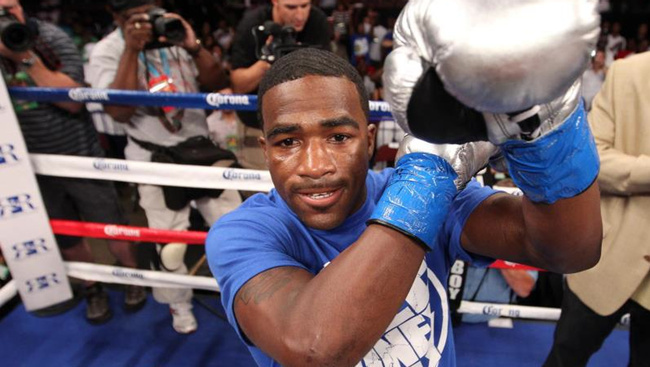 Broner is coming off a unanimous decision win over Emmanuel Taylor in his hometown of Cincinnati last Saturday night. It was a genuinely entertaining fight with both men having their moments and a dramatic knockdown in the dying seconds. Entertainment is a commodity that has been in short supply during many of Mayweather’s fights. The disparity between him and just about every opponent he has ever faced is so vast that there was palpable shock in 2012 when Miguel Cotto enjoyed a few good moments en-route to an inevitable unanimous decision loss. But people still tune into Mayweather fights in record breaking numbers because, while the outcome might be predictable, they are not paying to see an entertaining fight but to witness greatness and to perhaps feel that in doing so they are themselves playing a small part in boxing history. The positives for Broner after last weekend’s victory are abundant. He hurt Taylor, put together some breathtaking combinations and despite being notorious for his low punch output managed to put on the closest thing to a "Fight of the Year" contender he has ever been involved in. That’s the good news. The bad news for Broner is that fans waiting to see him fail have already been served up exactly what they wanted and the sight of the humbled former champion scurrying from the ring with the scorn of the crowd ringing heavy in his ears after the Maidana defeat will live long in their memories. Broner is surely destined to wear a world title again and will probably headline a Pay Per View card one day in the not too distant future but the chances of him following in the footsteps of his ‘big brother’ and becoming boxing’s next bona fide superstar all but evaporated the night he was outfought by an unheralded Argentinian. The Bullet That Anderson Silva Dodged—Roy Jones Jr.